starting February 29th - March 28th WOW!!!! So What is Middle Grade Mastery? Middle Grade Mastery is another extraordinary course from award-winners Hillary Homzie and Dr. Mira Reisberg created to help students who previously thought that writing Middle Grade novels was too hard, too complex, or beyond their capabilities and students who are already working on a manuscript or want to up-grade their chapter book into a middle grade novel. If you attend conferences or read editors bios, you'll see that there is a great demand for well-written middle grades and this is exactly what Hillary and Mira will be teaching you how to do. 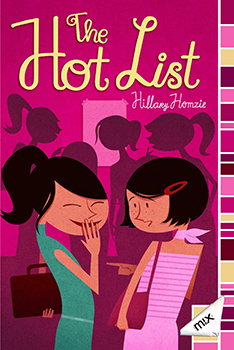 Hillary and Mira have all sorts of goodies in store for you including great contributions from middle grade writers, editors, and agents who represent middle grade writers and so much more. If you've taken any of the Academy's other interactive courses, you'll know that if you show up and do the work, we kind of make miracles happen. Then this is the course for you!!! The BIG BONUS comes with your very own Middle Grade Mastery e-Book, The Little Big Book of Children's Book Writing Techniques and Terminology, a FREE website building course, a FREE Writing and Illustrating Graphic Novels course, and the option for a half-off Mighty Scrivener course, a more than half-off Chapter Book Alchemist course, and a half-off fun with Social media course, lots of practical and inspiring lessons, easy access to instructors, Golden Ticket submission opportunities, and much much more, many of which you can get started with right now!!! The Success with Hillary package comes with all of the above, plus an incredibly helpful one-hour one-on-one LIVE critique with the master herself Hillary Homzie!!! There are only a limited number of these available so register asap for one of these for only 497 with Payment Plan options. The Success with Mira package comes with all of the above, plus an incredibly helpful one-hour one-on-one LIVE critique with Dr. Mira!!! There are only a limited number of these available so register early for one of these for only 497 with Payment Plan options. The Who, What, When, Where, How, and Why! The Who: This awesome interactive course is co-taught by two industry experts, one of whom is a former children's literary agent with extensive knowledge and connections in the field and the other is a an award-winning multi-published author, along with fantastic topic-specific contributions from editors, agents, and other published peeps. The What: It's a 4 week online highly interactive e-Course/training program that teaches you just about everything that you need to know about writing and illustrating middle grade and graphic novels using multiple approaches, daily lessons, lots of bonuses and worksheets and so much more! The When: The course starts February 29th with the first live training happening that night and runs through March 28h. It's designed to be extremely time flexible so you can access the materials and interact as much or as little as you like. No one is ever in trouble, but the more you can put in the more you'll get out of it. The additional 6 months plus of access makes it very doable no matter how busy you are and the private Facebook group continues on indefinitely to provide continued support of your children's book goals. The Where:The comfort of your own home, a café, the library, anywhere that you can get Internet access. You don't need to travel anywhere for this course plus you can still take it even if you are traveling. The How: Monday through Friday, fresh lessons and exercises from our expert faculty and contributors are released on our password protected website that also includes tons of resources including lists of publishers and agents, worksheets, done-for you templates, and much more. We interact via our private Facebook group where questions are answered and small critique groups are set up for those who want them. We have a special webinar page for each week where students post responses to each webinars topic - e.g., powerful hooks, plotting and pacing, creating memorable characters, how to approach editors and agents, etc. Times are scheduled to accommodate folks in different countries as much as possible and we also record the webinars for those who can't make it live. The Why: This is the most important one. If you want to write or illustrate middle grade or graphic novels this is the best value course that you can find to successfully get published. No other course gives this level of focused attention to each student who participates and it's the only one with a money back guarantee so that if you show up and do the work and think that you learned a tremendous amount after a year, we'll give you your money back. Hillary Homzie Hillary is the author of the middle grade novel, THE HOT LIST (Simon & Schuster/M!X) which Booklist says “captures the angst of young teen friendships and fragile identities.” She’s also the author of the middle grade novel, THINGS ARE GONNA GET UGLY (Simon & Schuster/M!X), a Justice Book-of-the-Month, which was just optioned by Priority Pictures, and the forthcoming QUEEN OF LIKES (Simon & Schuster/Aladdin M!X, April 2016), which is about social media, as well as the humorous chapter book series, ALIEN CLONES FROM OUTER SPACE (Simon & Schuster/Aladdin), a Children's Book-of-the-Month Best Books for Children. 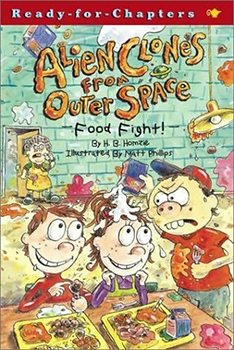 Emmy-nominated Suppertime Entertainment developed the books to become an animated television series and it was sold to ABC Australia. 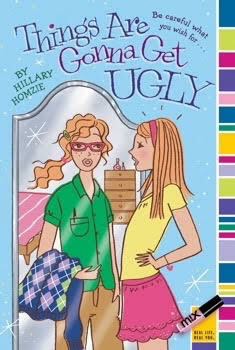 Hillary’s young adult fiction has been published in TEEN MAGAZINE and anthologized (MUDDVILLE DIARIES, Avon Books). She has sold non-fiction and fiction projects to Klutz Press/Scholastic Books, The Learning Company and John Muir Books. With her frequent writing partner, Steven Arvanites, she has had film projects developed by Brooklyn Weaver’s Energy Entertainment. Hillary got her start performing and writing sketch comedy Off-Broadway, and was a Heideman Playwrighting Award Finalist. Hillary holds a master's degree in education from Temple University and a master’s of arts degree from Hollins University in children's literature and writing. Besides teaching at the Children's Book Academy, Hillary is a visiting professor of children’s literature and writing at Hollins University. Visit her on the web at www.hillaryhomzie.com and follow her on twitter @HillaryHomzie. Hillary and Mira have infused this course with tons of instruction, humor, heart and meaning for what will be a once in a lifetime experience. She is excited about co-teaching this course and sharing her expertise to help others succeed with their work. Dr. Mira Reisberg is a multi-published award-winning children's book illustrator and author whose books have sold over 600,000 copies. She has worked as an editor, art director, designer, university professor teaching kid lit writing and illustrating courses as well as teacher ed, and as a literary agent. She has a PhD in Education and Cultural Studies with a focus on children's literature and has helped MANY writers and illustrators get published. What you will receive and more! There are two levels of payment available for this 4 plus week course, which in some ways keeps on going indefinitely. The Little Big Book of Children's Book Writing Techniques and Terminology!!! Plus other opportunities and goodies too numerous to mention! ﻿Middle Grade Mastery is a once in a lifetime opportunity and yet it is a truly affordable one for all that you receive!!! GET STARTED WITH ONE OF YOUR FREE BONUS TRAININGS TODAY! ﻿The Success with Hillary Package﻿ comes with everything above plus a one-hour one-on-one LIVE critique with the maestra herself, Hillary Homzie at the HUGELY DISCOUNTED EARLY BIRD price of 497 with the option of easy peasy payment plans!!! There are only a limited number of these availability and because of this it's often impossible to upgrade once the course starts. ﻿The Success with Mira Package﻿ comes with everything above plus a one-hour one-on-one LIVE critique with the maestra herself, Hillary Homzie at the HUGELY DISCOUNTED EARLY BIRD price of 497 with the option of easy peasy payment plans!!! There are only a limited number of these availability and because of this it's often impossible to upgrade once the course starts. No other course can offer more from a more talented group of creatives. Registering for Middle Grade Mastery is a genuinely useful investment in your career with a priceless return on this investment and it comes with a money back guarantee that if you fully participate and do the work, if at the end of a year you don't feel that you learned a lot, we'll give you your money back! 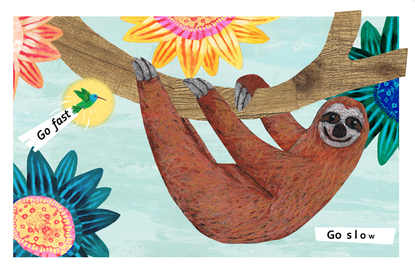 Work with your own ideas or select from a series of inspirational prompts to get started. Critique and be critiqued in your own small private Facebook critique group with other like minds. Incorporate multi-modal approaches to learning including written articles, "how to" demonstrations, and handy-dandy keep forever worksheets and handouts. Exclusive insider written and video interviews with industry experts! Bonus materials and demonstrations on how to create black and white illustrations for chapter books, illustrated middle grades, and graphic novels! Right now, we can't tell you who our awesome contributors will be, but if you've taken any of our other interactive courses or read our testimonials, you know that they'll be fabulous people at the top of their game contributing super helpful information including middle grade authors, editors, and agents!! This might be a big leap of faith, except that it comes with a money-back guarantee if you don't learn tons from it! Now what we can tell you is that our expert guest contributors will speak to you in custom created videos and written interviews, sharing their perspectives on everything from writing to publishing from authors, to what they look for in submissions from agents and editors. Then there are the Golden Tickets! What's a Golden Ticket? A Golden Ticket opportunity is when you get to submit directly to an agent or editor and bypass the slush pile or closed-house submissions policy. In this course we will be teaching you how to write or illustrate middle grade novels and for those who sign up before February 15th how to write and/or illustrate middle grade novels that will catch an agent's, editor's or art director's eye. Then our panel of judges will look at a secret website page of pitches that they're interested in seeing more from. So who are our Golden Ticket judges? Well we can't tell you right now, but we can tell you that they will be awesome!!! Week One: What Makes Middle Grade Middle Grade? 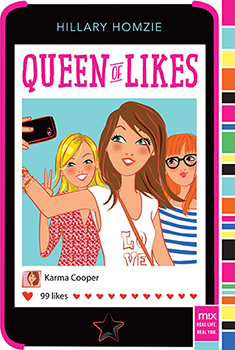 Young versus Tween, The Wonderful World of Middle Grade Genres, Generating Juicy Ideas that Editors, Agents, and Middle Graders Will Love, Making Your Hook Sing, Setting Up for a Single Title or Series. Interviews with awesome experts, and Live Critiquing Webinar with follow up recording! Week Two: Creating Awesome Characters With Character Development, Breaking Out Your Own and Your Characters’ Distinctive Voices, There’s No Place Like Your Setting, Creating Dynamic Dialogue, Make Us Feel Mighty Real or Make Us Laugh or… Just Show Some Emotion! Interviews with awesome experts, and Live Critiquing Webinar with follow up recording! Week Three: Structure, Structure, Structure for Smooth Sailing, Revising Your Hooky Beginnings, Solving the Muddle in the Middle, Creating Satisfying Endings, Sustaining Conflict, Name That, Theme! Week Four: Language that Editors Love AKA Vivid Writing: Personification, Imagery and Other Techniques, Revising, Reading Like a Middle Grade Writer, Time Management, Formatting, Querying and Submitting. The course is designed for busy people and set up to be time-flexible with additional content access at the end. You can go as fast or as slow as you like. The only time commitment to the course is to post your critique of your 2 group critique members each week in your optional critique groups. Don’t worry, we will be providing easy critique guidelines. Can you guess what all these movies and many others have in common? 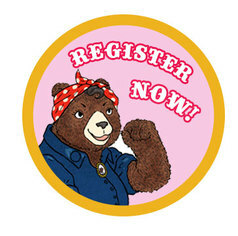 How do I register again? The fabulous Big Bonus with Payment Plan options is right here for the super low early bird price of 409. Just click on the image below! The even more awesome Success with Hillary package is only 497 but there are only a limited number of these. And the Success with Mira package is also available for only 497 with early Bird pricing and payment plan options. Are you up for a once-in-a-lifetime door-opening adventure into creativity and fun?